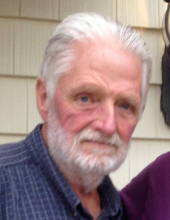 Charles Lucian Clifton, age 68 of Charleston, IL passed away Monday, January 28, 2019 at Carle Foundation Hospital. Charles was born July 1, 1950 in Mattoon, IL to Lucian and Lorene (Sewell) Clifton. He married Tracy Eileen Martin on October 22, 2008, she survives. Charles worked in sales for Niemeyer Kubota, and he enjoyed hot rods and motorcycles. Charles was preceded in death by his parents and one brother. He is survived by his wife, three children: Tony (Susan) Clifton of Charleston, IL; Michelle (Travis) Swope of Charleston, IL; and Lisa (Jeremiah) McCoy of Charleston, IL; and five grandchildren. No public services are scheduled. The family will hold a private memorial service at a later date. To send flowers or a remembrance gift to the family of Charles Clifton, please visit our Tribute Store. "Email Address" would like to share the life celebration of Charles Clifton. Click on the "link" to go to share a favorite memory or leave a condolence message for the family.